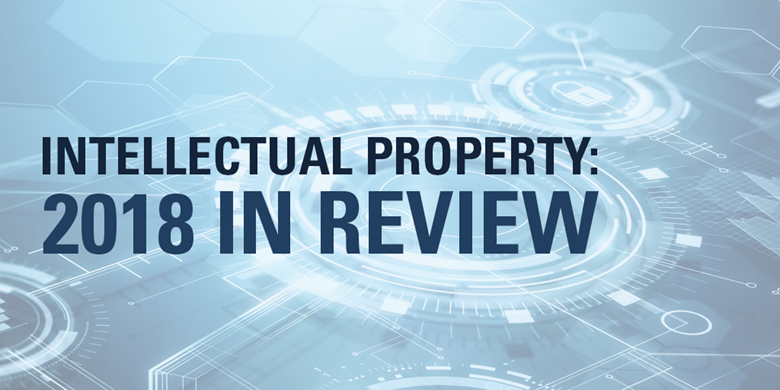 The Intellectual Property and Technology Transactions Group advises clients on a broad range of intellectual property (IP) and technology issues confronting today's businesses. The Group structures, drafts and negotiates IP- and technology-intensive transactions. These transactions include the IP and technology aspects of mergers, acquisitions, joint ventures, spin-outs, financings and other corporate transactions, as well as IP and technology acquisitions, divestitures, licenses, collaborations, outsourcing and settlements. Ally Financial, in the $4.2 billion sale of its operations in Europe and Latin America, and its share in a joint venture in China, to General Motors Financial. Altor Equity Partners, in its acquisition of Orchid MPS Holdings, a worldwide designer and manufacturer of orthopedic and dental implants, medical devices and surgical instruments. American Express, in its joint venture with vente-privee.com to launch an online platform for private sales of luxury goods in the United States. Amgen, in its $10.5 billion acquisition of Onyx Pharmaceuticals, its $315 million acquisition of Kai Pharmaceuticals, its $1.16 billion acquisition of Micromet, its $300 million acquisition of Alantos Pharmaceuticals, its $300 million sale of Amgen KK to Takeda Pharmaceutical, its $420 million acquisition of Ilypsa and its $1 billion acquisition of BioVex Group. Anheuser-Busch InBev, in its grant to Constellation Brands of exclusive, perpetual U.S. rights in the trademarks, designs and recipes for Corona and other Grupo Modelo beer brands, in connection with its related $20.1 billion acquisition of the remaining stake it did not already own in Grupo Modelo, and in the related sales of Compañía Cervecera de Coahuila for $2.9 billion, and a 50 percent interest in Crown Imports for $1.85 billion, to Constellation Brands. AT&T, in its $67 billion acquisition of DIRECTV, its $1.2 billion acquisition of Leap Wireless, its $1.875 billion acquisition of Nextel Mexico, its $2.5 billion acquisition of Iusacell, its $950 million sale of AT&T Advertising Solutions and AT&T Interactive to an affiliate of Cerberus Capital Management and its sale of its incumbent local exchange operations in Connecticut to Frontier Communications for $2 billion in cash. Avon Products, in the sale of its 75 percent ownership interest in Avon Japan to TPG for cash and prepaid royalties for certain intellectual property licenses. Bayer, in its acquisition of the consumer care business of Merck & Co. for $14.2 billion in cash and in connection with Bayer HealthCare, a subsidiary of Bayer, in its $1.2 billion acquisition of Conceptus Inc.
Billabong, in the $460 million sale of a 51.5 percent interest in Nixon, its watch and accessories brand, to an investor group. Cablevision, in its $1.4 billion acquisition of Bresnan Communications, a provider of communications services to subscribers in Colorado, Montana, Utah and Wyoming. Cardiome Pharma, in its acquisition of Correvio. CGI Group, in its $3.1 billion acquisition of Logica. CLS Bank, in its outsourcing to IBM of IT infrastructure used in the high-volume settlement of foreign exchange considered to be essential to the global financial system. Collective Brands, in its $2 billion sale to a consortium, its $91 million acquisition of Collective Licensing International and its $800 million purchase of Stride Rite. Cree, in its $200 million acquisition of COTCO Luminant Device. Cúram Software, in its acquisition by IBM. Cymer, in its $3.9 billion acquisition by ASML Holding. Dolby, in various IP transactional matters. EchoStar Communications, in the spin-off of its technology assets and certain of its infrastructure assets, including its set-top box business and certain satellite assets, into EchoStar Holding. Fiserv, in its $465 million acquisition of CashEdge and in the sale of 51 percent of its stake in its subsidiary, Fiserv Insurance Solutions, to Trident IV for $510 million. Gildan Activewear, in its $350 million acquisition of Gold Toe Moretz and its $88 million acquisition of Anvil Holdings. Michael Rubin, chief executive officer of GSI Commerce, in the $2.4 billion acquisition of GSI Commerce by eBay. Heyman family, in its $3.2 billion sale of International Specialty Products to Ashland. HSBC Holdings, in the separation and allocation of rights in technology, trademarks and other IP in connection with the $2.6 billion sale of its credit card and retail services business in the United States to Capital One Financial, and its $1 billion sale of 195 Upstate New York and Connecticut branches and in its $15 billion of deposits to First Niagara Bank National Association. Idenix Pharmaceuticals, in its $3.85 billion acquisition by Merck. IMS Health, in its $5.2 billion acquisition by investment funds managed by TPG Capital and the CPP Investment Board. ING Groep, in the separation and allocation of rights in technology, trademarks and other IP in connection with the $3.1 billion sale of ING Bank of Canada (ING Direct Canada) to The Bank of Nova Scotia; the $9 billion sale of its ING Direct USA online banking operation to Capital One Financial; and in the $3.8 billion sale of its Latin American pensions, life insurance and investment management operations. Intel, in connection with numerous IP and technology licensing and strategy matters, including its worldwide patent cross-license and settlement with Advanced Micro Devices; its patent agreement with GlobalFoundries; its worldwide patent cross-license and settlement agreement with NVIDIA; and intellectual property and joint development matters in connection with entering into agreements to expand the NAND Flash memory joint venture between Intel and Micron Technology. IntercontinentalExchange, in its $8.2 billion acquisition of NYSE Euronext and in its joint proposal with NASDAQ OMX Group to acquire NYSE Euronext for approximately $11.3 billion. Ipsen Pharma, a global specialty pharmaceutical group headquartered in Paris, in its $85 million acquisition of a 20 percent stake in Inspiration Biopharmaceuticals. Kodak, in connection with its worldwide patent cross-licenses with Agfa, Samsung and LG and its worldwide restructuring, including the sale of its portfolio of 1,100 digital imaging patents to Intellectual Ventures and series of associated patent licensing transactions with 12 licensees including Apple, Google, Microsoft, Facebook, Samsung, Amazon, Adobe, Fujifilm, HTC, Huawei, Research in Motion and Shutterfly. The Madison Square Garden Company, in its purchase agreement with the parent company of NUVOtv, SiTV Media Inc., pursuant to which SiTV Media has agreed to acquire Fuse Holdings and its subsidiary for $226 million in cash and a 15 percent equity interest in the combined company. McCartney Productions, in an agreement with Hewlett Packard to digitize and deliver via a private cloud the library of former Beatle Paul McCartney. Microsoft, in the creation of CPTN Holdings—a consortium of technology companies including Apple, EMC and Oracle—and the consortium’s acquisition of 882 patents and patent applications from Novell in connection with Attachmate’s acquisition of Novell. Nippon Steel, on licensing matters in connection with its agreement with Ternium to form a $350 million joint venture in Mexico for the manufacture and sale of steel sheets primarily to serve the Mexican automobile manufacturing market. NXP, in its $85 million acquisition of GloNav and in the sale of its television systems and set-top box business lines to Trident Microsystems and its acquisition of a majority stake in Trident for $190 million. Office of the Commissioner of Major League Baseball (MLB) and MLB Advanced Media ("MLBAM"), in connection with The Walt Disney Company’s acquisition of a 33% stake (and an option to acquire a controlling stake) in BAMTech, LLC (U.S.), a company previously formed by MLBAM and separated from MLBAM as part of the transaction. Pharmasset, in the IP aspects of its $11 billion acquisition by Gilead Sciences. Philips Electronics, in many transactions, including the $10.3 billion sale of NXP, its semiconductors business, to KKR and Silver Lake Partners. Popular, in the sale of a 51 percent interest in its processing subsidiary, EVERTEC, and related processing, merchant acquiring and technology businesses, to Apollo Management, through establishment of a $900 million joint venture. The Priceline Group, in its $2.6 billion acquisition of OpenTable and in its $1.8 billion acquisition of KAYAK Software. Rexair Holdings, in its sale to Sunbeam Products for $345 million. Rhône Capital, in connection with its $1.3 billion simultaneous acquisitions of Evonik Carbon Black and related entities (the ECB Group) and the ECB Group’s Chinese joint venture. Rhône Capital III, in its $485 million acquisition of International Paper’s Arizona Chemical business, a leading global supplier of pine chemicals for adhesives, inks and coatings, lubricants, fuel additives, mining and oleochemicals markets holding numerous intellectual property assets including patents. a participant in a consortium led by RPX Corporation to acquire 4,000 patents related to smartphone technologies from Rockstar Consortium for approximately $900 million. an investor consortium led by Silver Lake Partners, related to intellectual property and licensing matters in connection with its $2 billion acquisition of a 65 percent interest in Skype Technologies from eBay. Silver Lake Partners and Skype, in connection with the $8.5 billion sale of Skype to Microsoft. Skype, in its widely reported agreement with Facebook to make Skype products and services available on Facebook platforms. Valeant Pharmaceuticals International, in connection with its $15.8 billion acquisition of Salix Pharmaceuticals Ltd.; its acquisition of PreCision Dermatology for $475 million in cash, plus an additional $25 million payable upon the achievement of a sales-based milestone; its $1.4 billion sale of all rights to Restylane, Perlane, Emervel, Sculptra and Dysport owned to Nestle S.A.; its $2.6 billion acquisition of Medicis Pharmaceutical; and its $56 billion unsolicited offer to acquire Allergan Inc., later terminated. VeriFone Systems, in its acquisition of Hypercom for approximately $485 million. Versa Capital Management, in connection with the acquisition of Sport Chalet by Vestis Retail Group, which is owned by funds advised by Versa. Wells Fargo Securities, in connection with the transfer of Citadel Securities’ investment banking business to Wells Fargo Securities for an undisclosed amount and in its acquisition of the North American reserved-based and related diversified energy lending business of BNP Paribas for an undisclosed amount. Zynga, in its acquisition of NaturalMotion for $527 million in cash and equity. AIG, Barclays, BGP, Commerce Bancorp, Fiat, Goldman Sachs, ING, IPC Holdings, Ontario Teachers’ Pension Plan, Rio Tinto, Wachovia and others, in the intellectual property aspects of their M&A, divestiture and securities transactions.